The Cherry Blossom Ten Mile Run bib transfer period is open through 11:59 Feb. 28. 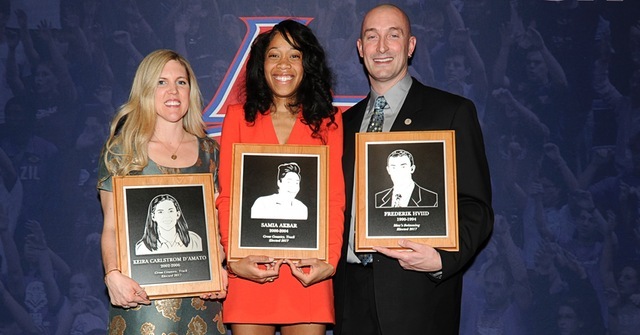 American University track athletes and Oakton alumnae Samia Akbar and Keira Carlstrom D’Amato were inducted into the university’s hall of fame. American University track and cross country coach Matt Centrowitz‘s memoir, Like Father Like Son, is now available on Amazon.com. Fairfax resident Rochelle Basil appeared on a recent Diz Runs podcast.